Jameson Bradfield earned his spot to play the trumpet in the The Battalion after auditioning for the group. 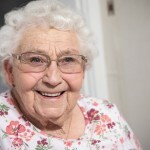 Bradfield grew up in a family of musicians. 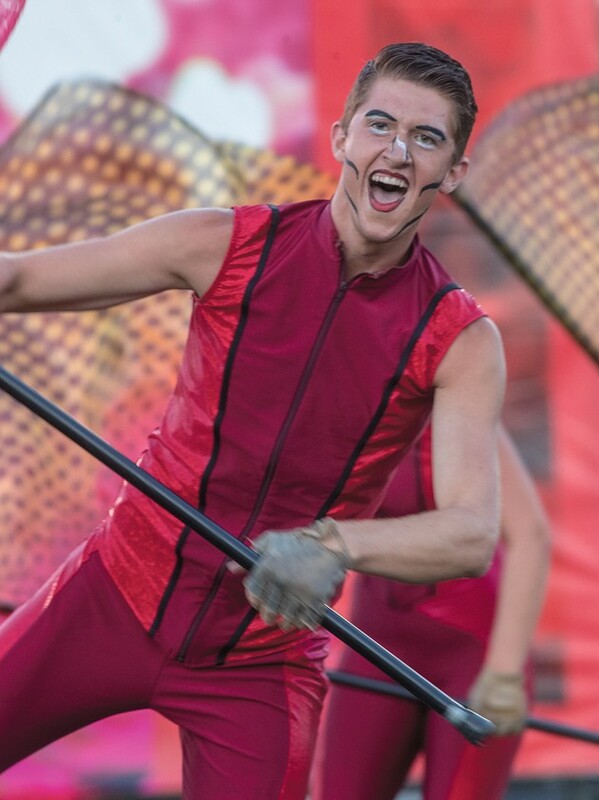 Jameson Bradfield performs with The Battalion Drum and Bugle Corps at Alta High School in Sandy in July. 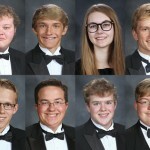 The group had 11 performances in six states this summer. Tyson Turner is a Stansbury High graduate who performs in The Battalion’s color guard. Jameson Bradfield practiced six days a week with nearly 14 hours spent daily to learn the corp’s program. On his 19th birthday, Jameson Bradfield of Lake Point stood on the football field at Stansbury High School with a trumpet in his hand. To him, this was heaven. He wasn’t alone. 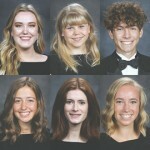 The 155 other members, ages 14-22, of the Salt Lake City-based Battalion Drum and Bugle Corps, practiced their nine-minute routine in the afternoon heat to prepare for their second-to-last competition of their season — Drums along the Wasatch — at Alta High School in Sandy. Most of the performers, like Bradfield, wore shorts and T-shirts to keep cool, and hats to keep the sun off their heads. The corps moved. Each section took a stance on a part of the field. The color guard stood in front, wearing red skirts and carrying immense red roses at first, which they later traded for gold and red flags. The drums stood center field, with two sections of brass instruments on either side. Bradfield, a trumpet player, was one of 74 corps members in the brass section. “I’ve always been able to appreciate the hard work and effort that goes into making music,” he said. Bradfield has played the trumpet since the sixth grade, his first year of band in intermediate school. His teacher there, and his band teacher in high school, helped grow his natural love for music, which started with his family. His mother played the clarinet, his father played the piano and played saxophone on scholarship at two colleges. Three of his four sisters chose string instruments, and one played the saxophone. Bradfield wanted something different. He chose to play the trumpet. In the beginning, it wasn’t an easy instrument to play. “It’s an art,” he said. “Trumpet takes a lot of lip muscles and it takes patience and time to develop it. “In a trumpet, there’s a lot of small tubing you have to force the air through and you have to make it vibrate, too,” he said, explaining that he shoots for a slightly dark tone with a lot of resonance. When he gets it right, the entire trumpet has a slight vibration. And he gets it right, or he wouldn’t be in the drum corps. Members are accepted only by audition. Bradfield, who, because of grades, couldn’t march with the high school marching band a few months into his senior year, tried out for the Battalion after one of his cousins told him about it. “I got in the Battalion because I had the guts to try,” Bradfield said. Drum corps is a competitive activity that requires a complicated skill set. Besides knowing how to play an instrument well and memorizing the music, corps members must move. The choreography requires more than marching; it includes long, quick strides and choreography. 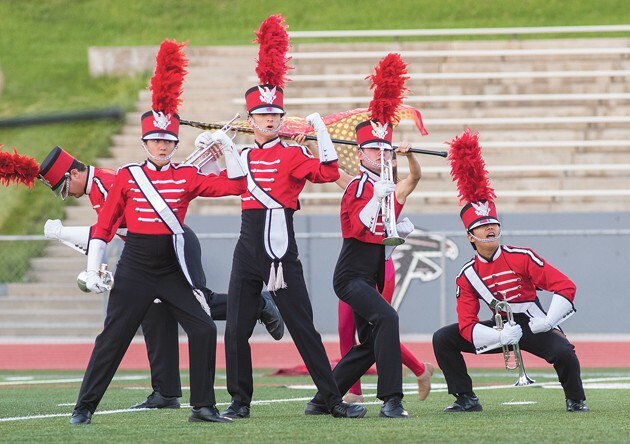 For this year’s presentation, the brass section ran across the front of the football field, angling their horns skyward during one of the songs. In another part of the music, some of them crawled across the grass. From the stands, it looked like a well-coordinated dance with music made by the dancers. Bradfield said it’s important to make the music look as good as it sounds. The Battalion competes against other drum corps across the Western United States. Drum Corps International, a non-profit entity, oversees the rules and competitions. More than 8,000 people in ages 14-21 audition for competitive drum corps every year. The Battalion was named to honor the Mormon Battalion — a group of LDS pioneers who were commissioned by the U.S. government to march from the Midwest to California to engage in the Mexican-American War. The men who were part of the group never fought, but many played a big role in the California gold rush before returning home — a bit richer — to Utah. The drum corps, in its third year, competes against other open-class drum corps. Open-class corps are smaller and less funded than their world-class counterparts, which tour the world, instead of just the country. But, Bradfield said, that doesn’t mean they’re better performers. Bradfield said it took around 14 hours of practice nearly every day to pull the corp’s program together. The group took Sundays to rest and made sure those who wanted to attend church services could do so. They also provided service opportunities for the corps each Sunday. “It’s definitely changed my life,” he said. Bradfield said television time, particularly video games, was the norm before he joined the drum corps. He adjusted to a fast-paced schedule, packed tight with music and choreography. Along the way he also learned valuable life skills, including time management. Although rehearsal weekends, known as camps, began in February, Bradfield’s intense training stint at Snow College began on June 10. It lasted until early July. “During spring training at Snow College, we would usually wake up about six or seven after going to bed at about 11,” he said. Corps members ate breakfast at the apartments where they stayed. Then they had a three-hour visual block training, where they worked on learning the choreography and making sure every movement looked good on the field. After an hour and a half lunch break, the corps broke apart to practice in sections. The color guard, drums section and brass sections each practiced individually for three hours. After dinner, there was another three-hour training block where the entire corps practiced together. Mark Hartman, the program manager for the Battalion, said the corps works with a rotating staff of about 50 teachers, overseen by a core group of five or six people. Creating the presentation and integrating the sections is a team effort. “There are a lot of moving parts that have to work together,” he said. The corps members make up the bulk of that team. Hartman said Bradfield is a great asset to the Battalion. This year’s performance was a conglomeration of music and dance centered on the theme “Seeing Red.” Songs were introduced with words such as aggression, passion, and adrenaline. 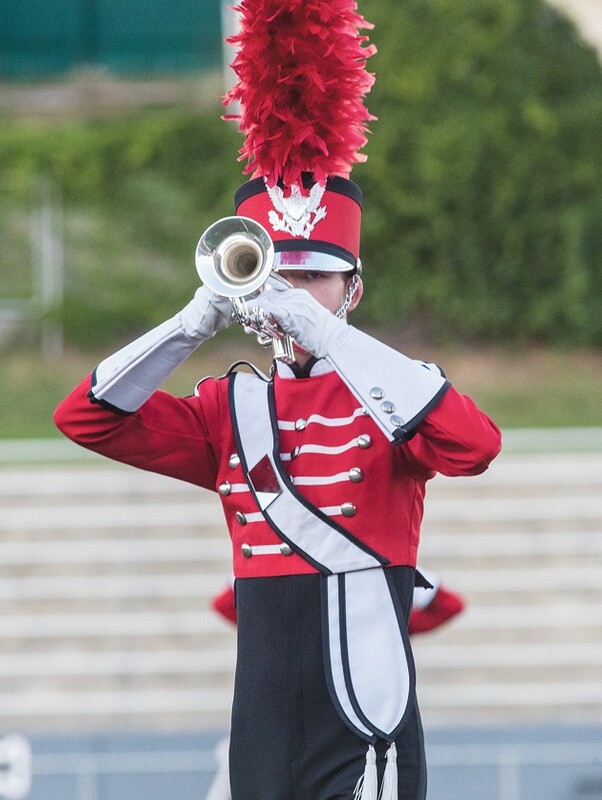 Besides the red uniforms, Battalion members rent their instruments, including matching silver brass instruments, so that they match and look good together on the field. Rehearsals changed on July 4, when the Battalion kicked off its yearly tour at the Freedom Festival Parade in Provo. While at the parade, the group performed for and was cheered on by Utah Gov. Gary Herbert. Corps members were on tour for around three weeks, with a total of 11 performances across six states. During this time, rehearsals happened whenever there was time. 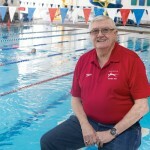 Bradfield said sometimes there was only time for an hour’s worth of training for each block. One day, corps members reached their destination at 5 a.m. and began rehearsing at 9 a.m. after a brief chunk of sleep time. Rehearsals on tour tested physical endurance, as well. During the practice session at Stansbury High School, the afternoon was hot. Large red jugs of water lined the front of the football field, next to corps members’ backpacks, but the Battalion was on a tight schedule. Corps leaders take frequent but very quick water breaks during their two-hour practice. They know the importance of hydration on the corps’ performance. Being a member of the Battalion required a financial investment as well. After Bradfield passed auditions, he paid a $2,100 fee that helped pay for the tour and other Battalion needs. The deep music training was a one-of-a-kind experience. Bradfield will be attending Snow College this coming semester on a scholarship that he received for being a member of the Battalion, too. 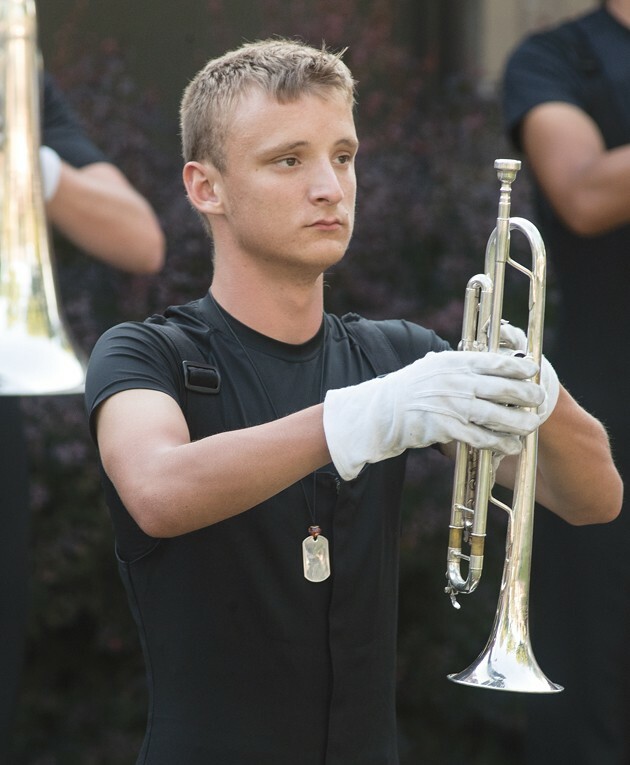 Despite the heat, the constant practices and the hectic pace of life with the drum corps, he said it’s been one of the best experiences he’s ever had. “The only way people get to know about drum corps is seeing it with their own eyes,” he said. He talked about how thrilled he’d feel when he would attend Corps Encore at Weber State University each year. He said he always felt a rush when he was sitting in the stands and felt them shake because of what was happening on the football field. Now he’s part of a fluid group that causes that sensation for others. If he has his way, Bradfield will again spend his next birthday at the end of a Battalion drum corps tour, practicing next year’s musical pieces on a football field. “I’m going to do Battalion again for as long as I can,” he said.